Intern, Courtney Purdy, gets an all access pass to the business. Every staff member is vital to our success. A rising Sophomore at West Chester University’s Honors College, Courtney Purdy began her Xavier internship over the five weeks of Winter Break. She continued three hours a week in project work during the Spring Semester and is now back for 3 ½ months this summer. 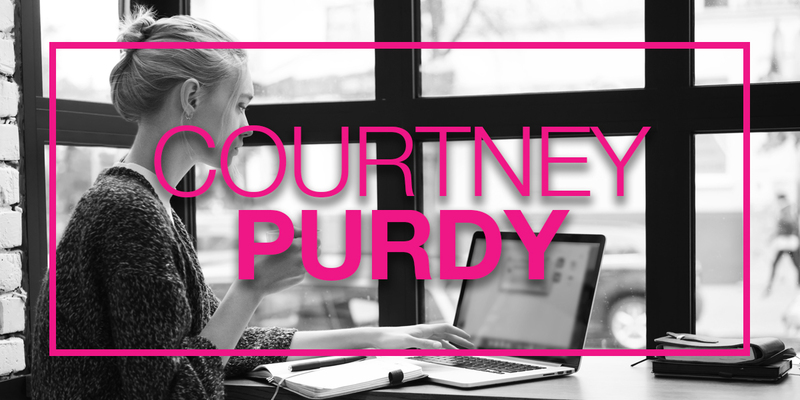 Courtney is an industrious student who takes a curriculum of honor’s courses in addition to her major, all while fulfilling a work study commitment, consisting of 10 hours a week. No wonder the most notable aspect of her Winter Break internship was watching how CEO, Sunny Beth White, manages customer engagement, staff development, vendor deliverables, new client enrollment, and community outreach all while balancing personal and family time. Most interns lack the access to witness how leaders keep organized and make the most of every moment. Sunny’s twist on an old adage, “If a team is only as strong as its weakest link, then every staff member is vital to our success,” explains why XCH is a golden opportunity for interns. Xavier may have found the secret code to unlocking discretionary effort. Treat employees as an equal, even the interns, and expose them to the highest-level executives to get them as close to the work, customers, and vendors as possible. In short, demonstrate how to “Live the Mission” and the workday is transformed. “There’s no pushback. You just GO,” is the way Courtney describes working lockstep with CEO, Sunny Beth White. Among numerous administrative duties, the highlight of Courtney’s Winter Break internship, that is sure to repeat and intensify this summer, was her role assisting in the production of a virtual reality initiative. Equally impactful was Courtney’s exposure to the seamless communication between Xavier’s team that makes the virtual model work. Courtney took full advantage of the approach to continue remote support of XCH projects while back at college, priming her to succeed in a full-time capacity once school let out in May.